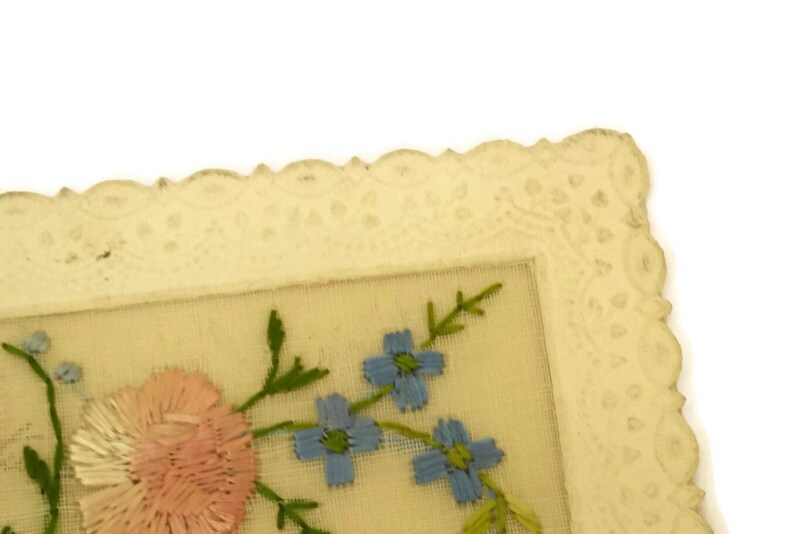 Antique French Embroidered Flower Greeting Card. 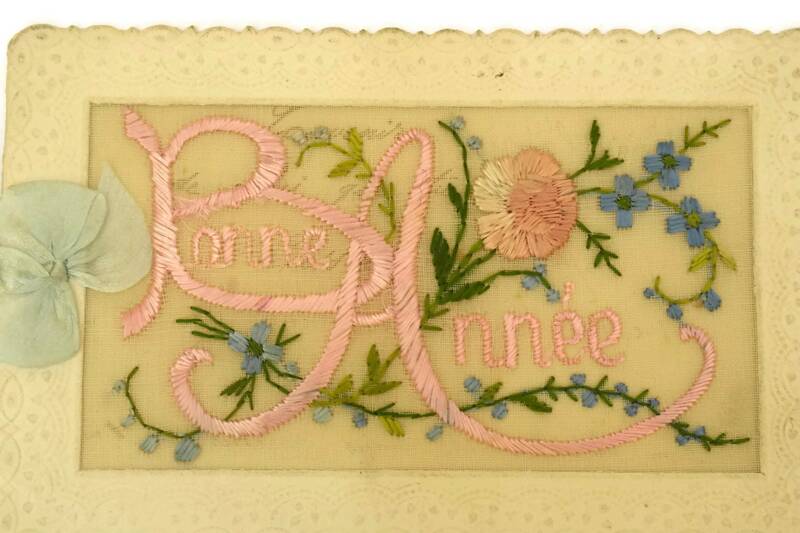 Bonne Annee Card with Pink Embroidery. 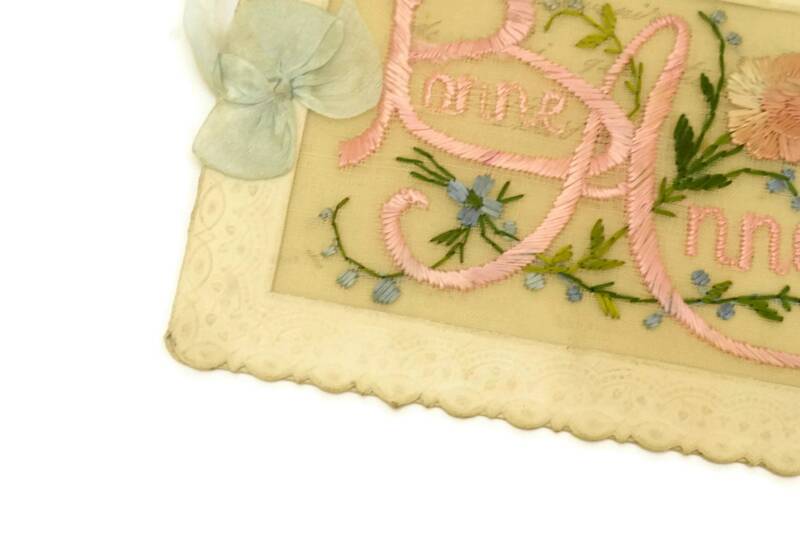 Romantic Scrapbooking Gifts for Her. 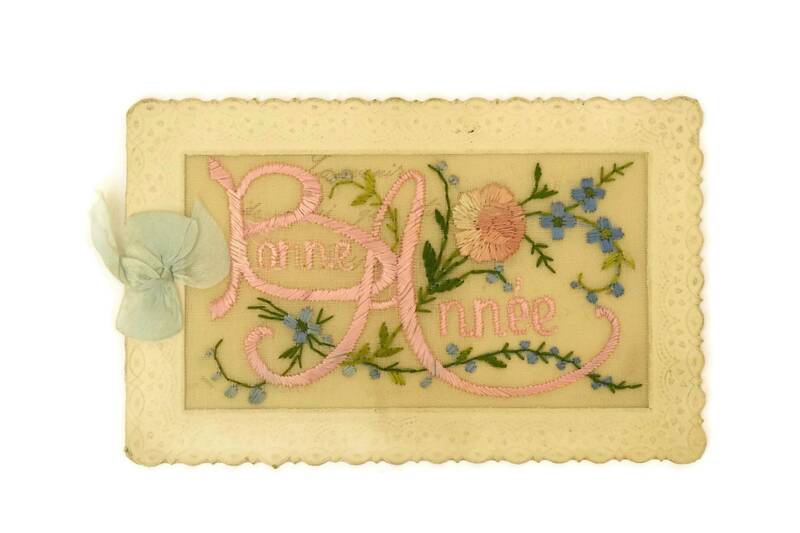 An adorable antique greeting card created in France in the 1920s. 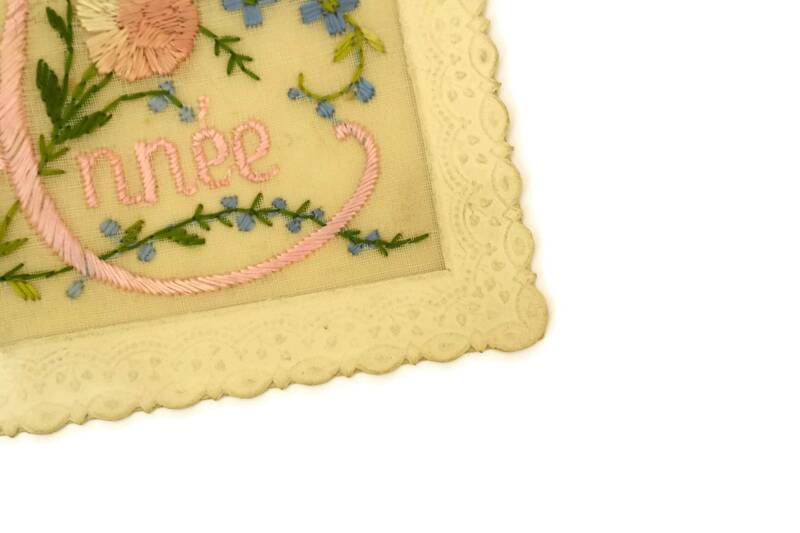 It features a charming hand-embroidered panel with pink and blue flowers with the French expression for Happy New Year (Bonne Annee). 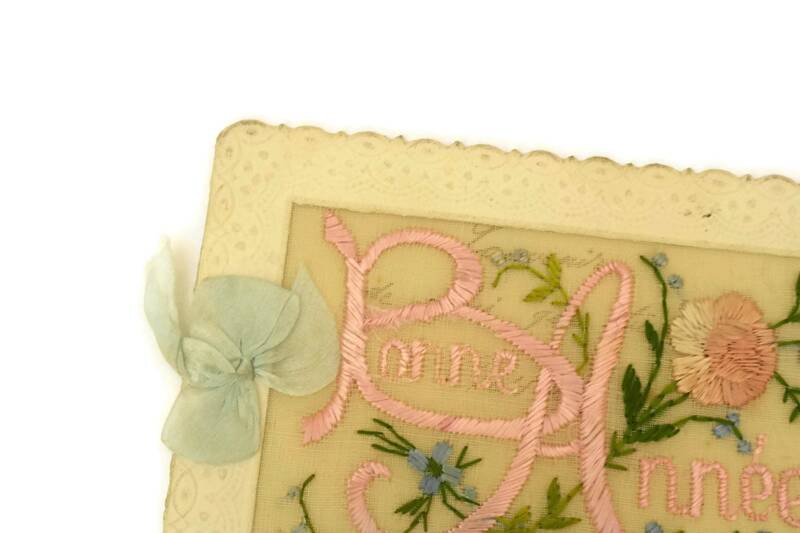 The card has an embossed paper border and the interior has a handwritten greeting. 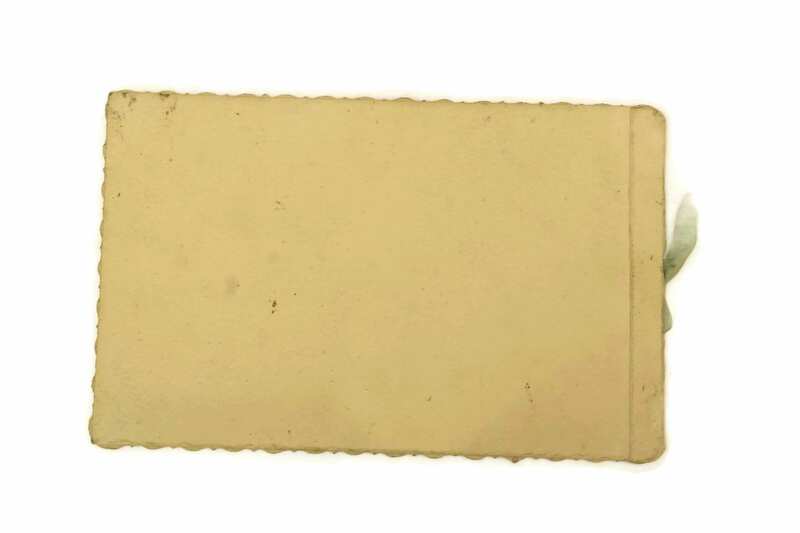 5 1/2" long (14 cm). 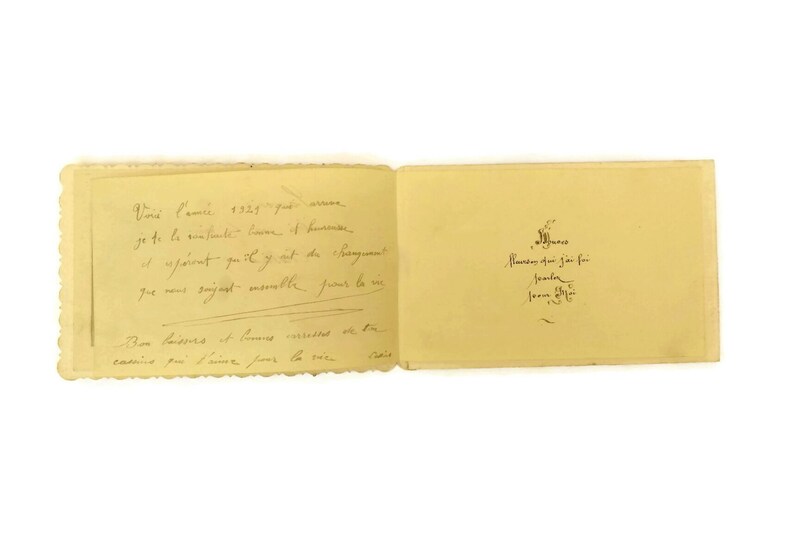 3 1/2" tall (9 cm). 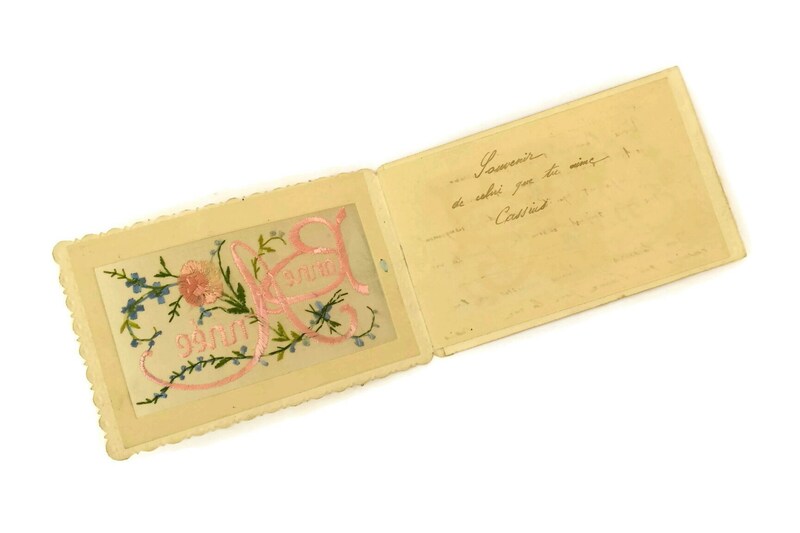 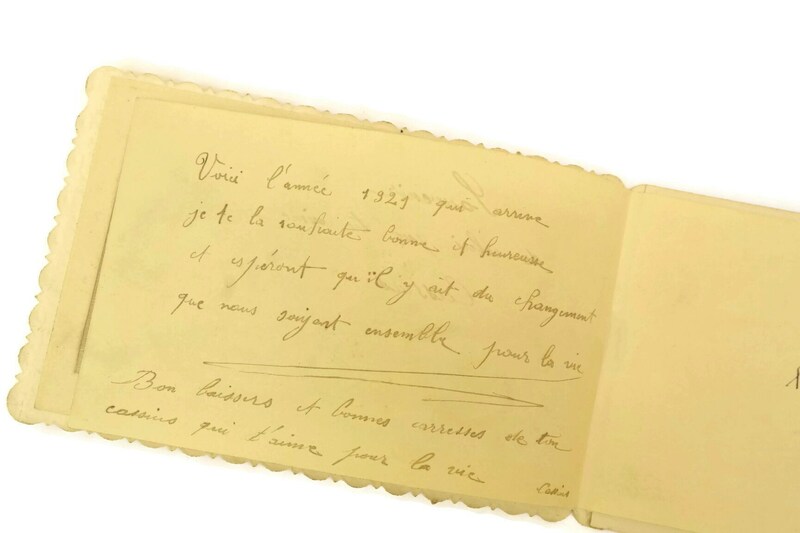 The antique French postcard is in very good condition with some light signs of age.